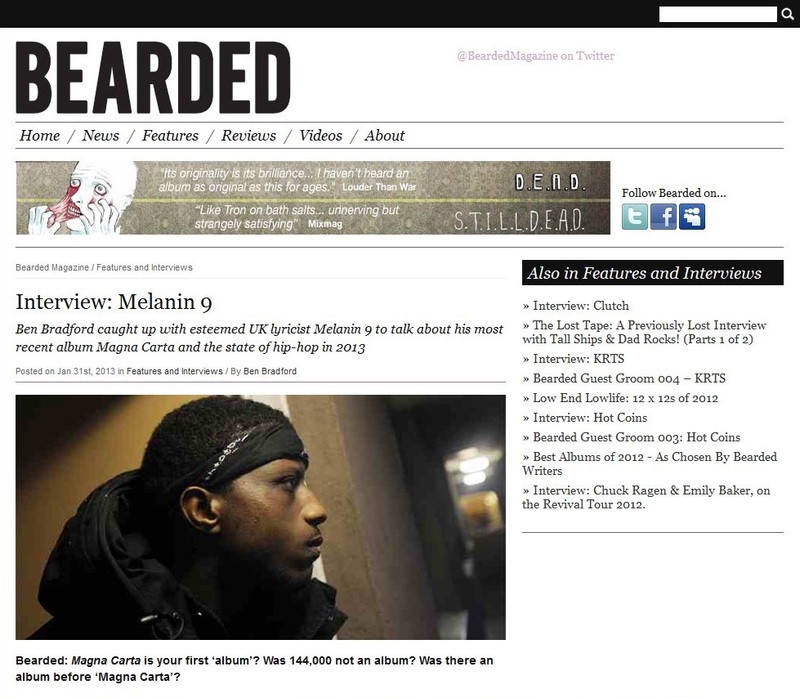 Published by the UK’s Bearded Magazine, the feature also addresses the common practice of artists releasing tracks for free and the net benefit they hope to achieve. 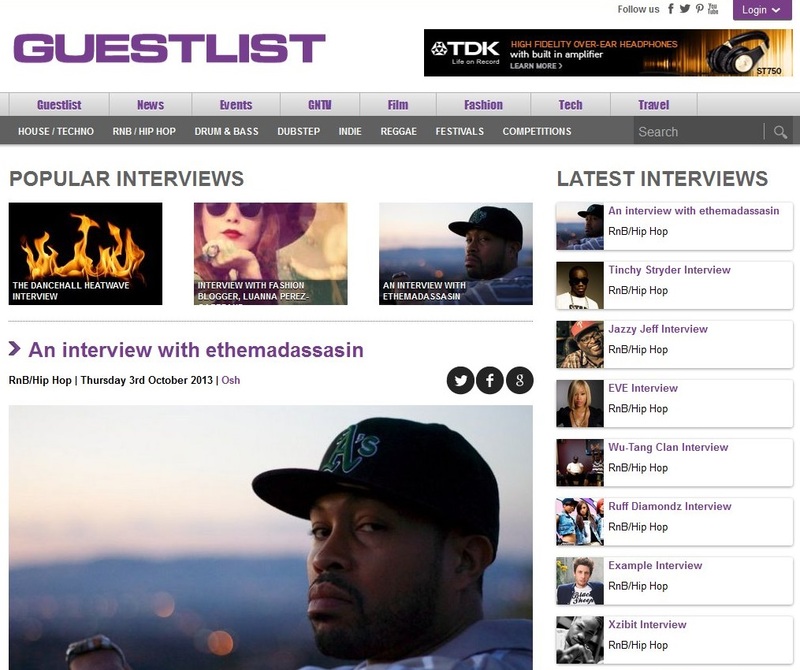 The album was one of UK hip hop’s standout releases of 2012, and the amount of press coverage in the UK and overseas is testament to the appreciation of the quality of lyricism on display. Singles and videos for “Landslide”, “Organized Democracy” and “White Russian ft Roc Marciano” have received international radio airplay and online support, in some cases to an unprecedented level. The strength of the classic Tru Skool sound influenced by the Golden Era of the 1990’s is reflected by the international element of his album sales on iTunes throughout Europe and in the States, as well of course as in the UK. This would indicate that the genre is in good health, and still passes the test of time when others come & go. 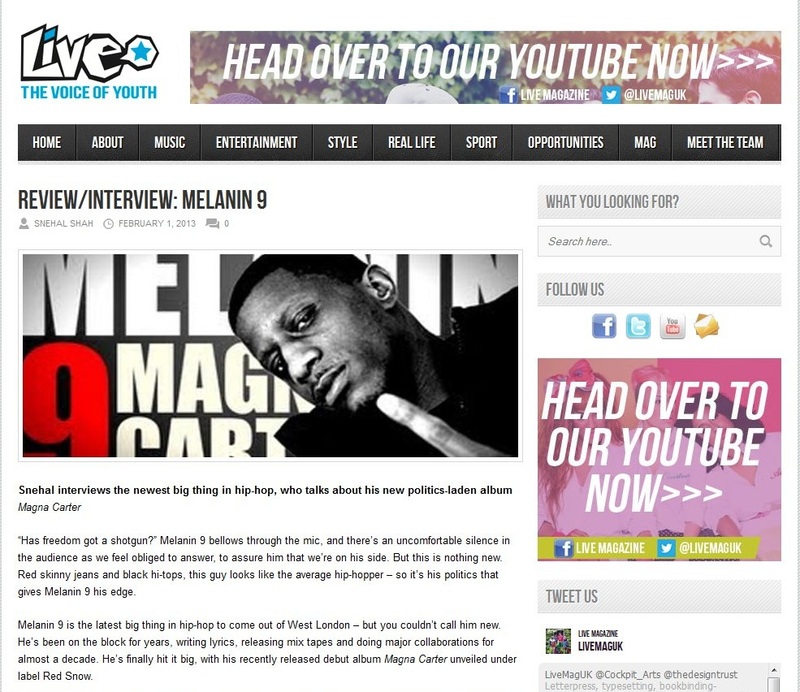 With Melanin 9’s debut album “Magna Carta” releasing on iTunes today, you will see a lot of international media covering the record in the next couple of weeks. Latest is Hip Hop is AWOL, based over in Ireland, and as the name suggests regularly covers a lot of international videos, singles and albums. 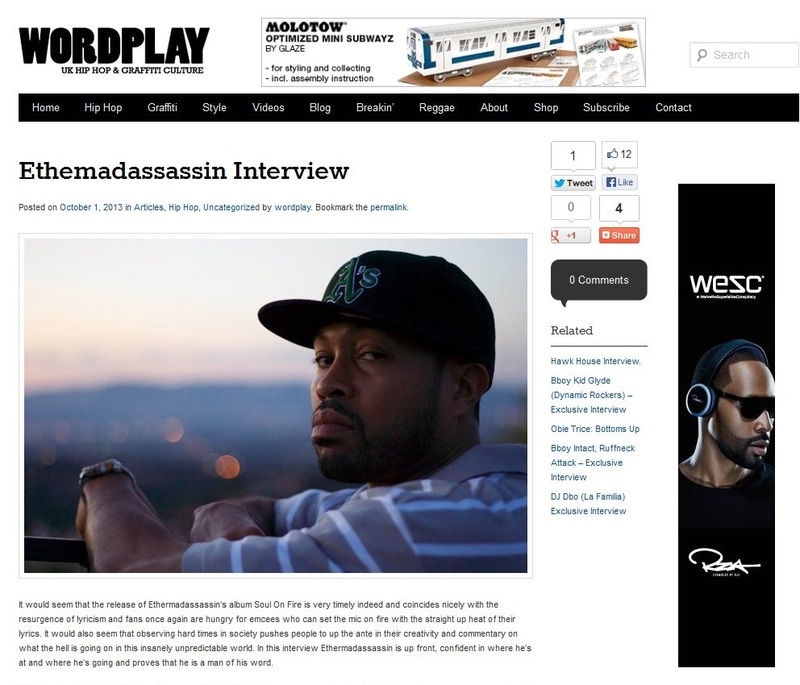 Owner Ruairi tells us that Magna Carta is in his top 3 albums for 2012 along with Roc Marciano (who features on Melanin 9’s video “White Russian) and Ka. The unprecedented support from Stateside onlines such as Nah Right, Hip Hop DX, 2Dopeboys, The Source and Complex combined with UK publications MOJO, Clash, Guestlist, Q Magazine (end of December) and many more does suggest that the traditional sound of hip hop isnt so much making a comeback, but now receiving wider recognition for its longevity and being introduced to a new generation.